out in the open. The majority of them are people participating in outdoor activities such as hiking and camping. Many accidents in the mountains can be ascribed to the panic brought about by spectacular lightning that generates extreme fear among tourists. It is estimated that there are a few times more victims indirectly linked to discharges than those struck directly. The project aims at increasing the safety of people caught out in the open during a thunderstorm. 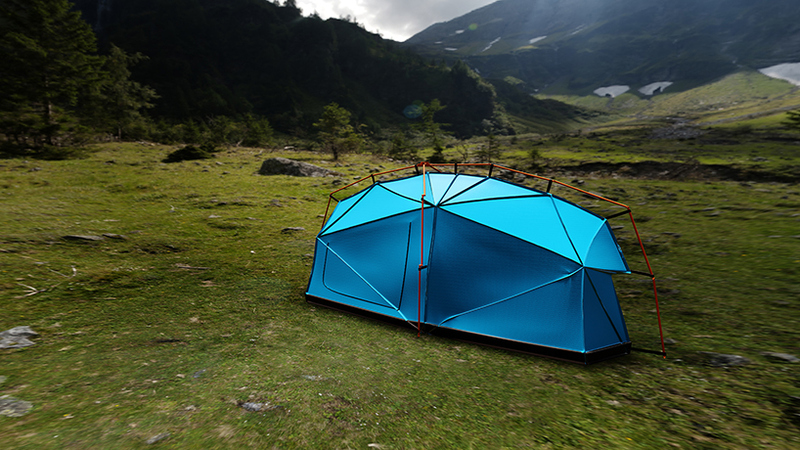 The tents are made of ultralight materials and thus meet the needs of those practicing many different kinds of outdoor recreation. They can be put up fast and are easy to carry around. They also protect against unfavourable weather conditions accompanying thunderstorms, for example rain and wind. 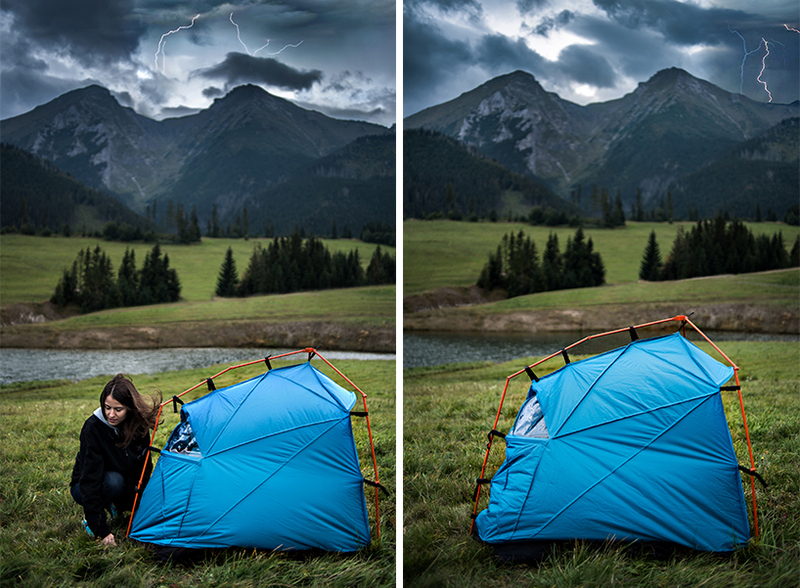 A lightweight (1,2 kg) tent with full lightning protection* for day-long trips, indispensable in difficult situations brought by a sudden change of weather conditions (a thunderstorm, downpour, wind). 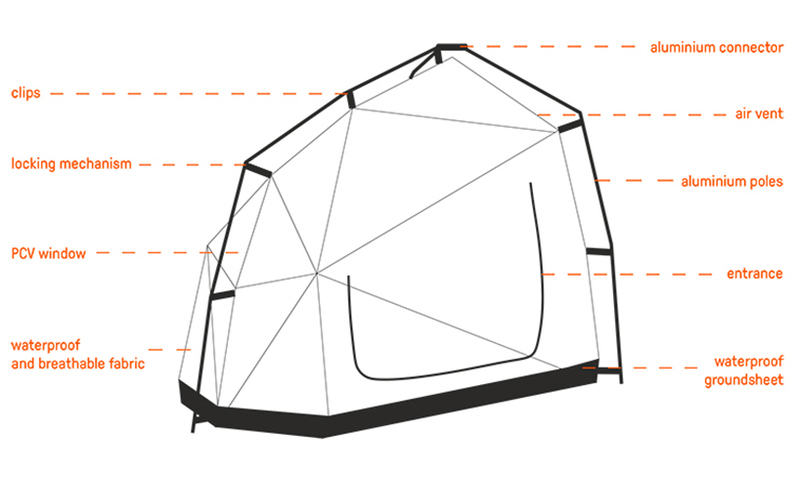 Due to its size, the tent can be put up in seemingly unsuitable places, like a ledge, ridge etc. 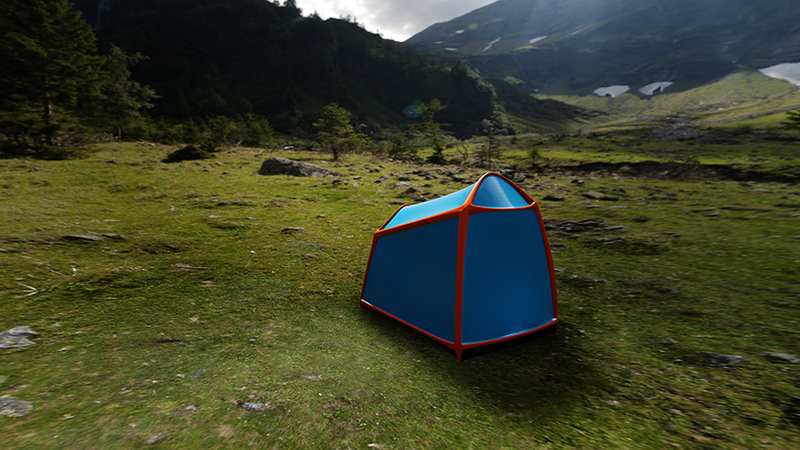 A lightweight, compact, one-person tent with full lightning protection* for longer trips of a few days. 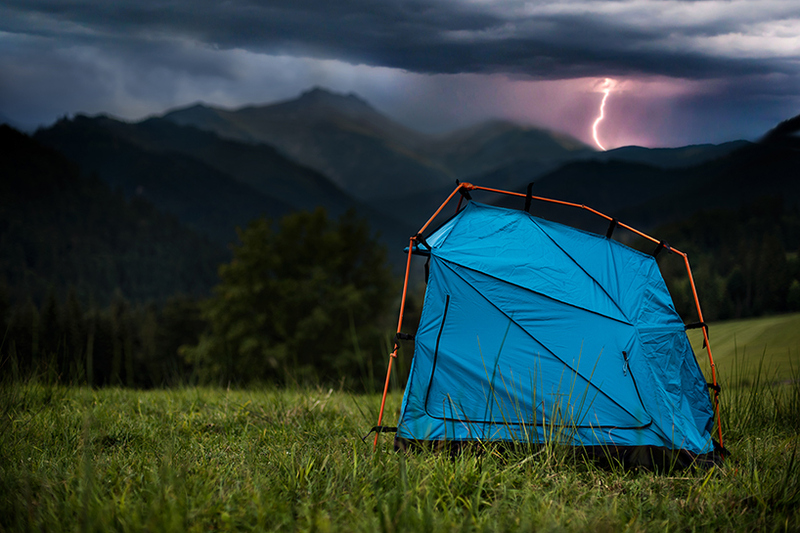 An ultra-lightweight, pneumatic tent with a groundsheet protecting from injuries due to step voltages (the most common way people are struck by lightning). 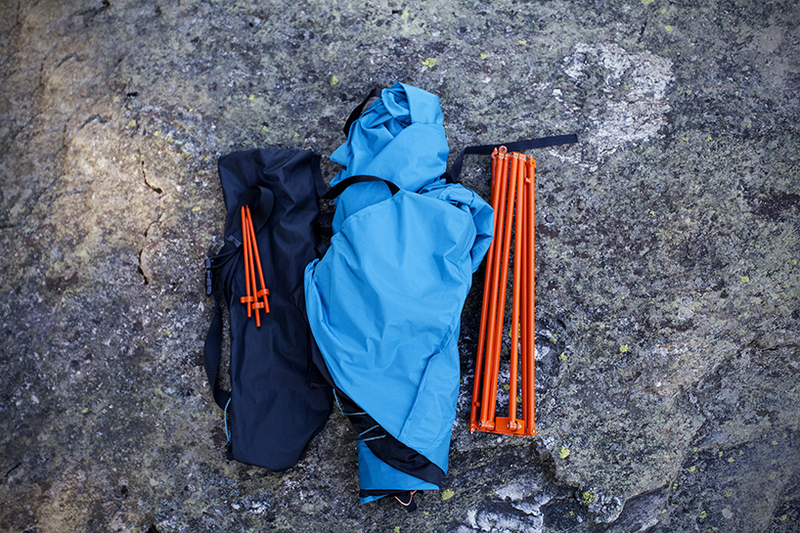 Just like Bolt-Half, thanks to its size, it can be quickly and easily put up in places unsuitable for standard tents. 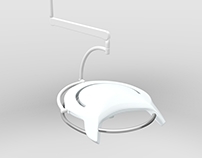 It is designed for day-long trips where additional weight would be burdensome. 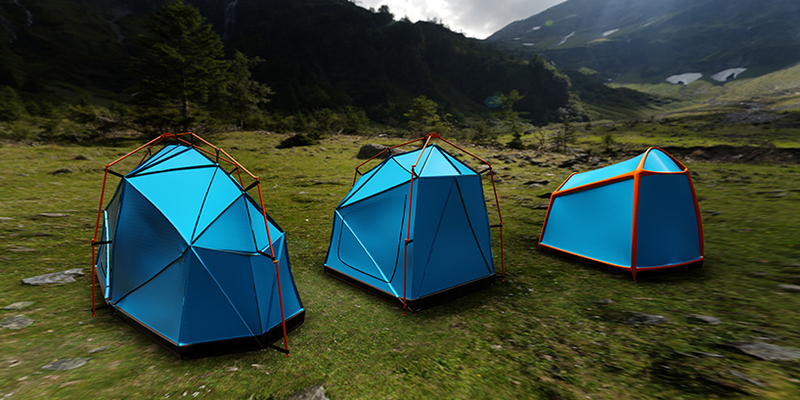 The tent underwent high voltage tests with discharges produced by an impulse voltage generator. An electrode imitating a tourist's head had been placed in the tent. The estimated voltage depended on the distance between the tent and the end of the electrode and varied between 400 kV and 1MV. 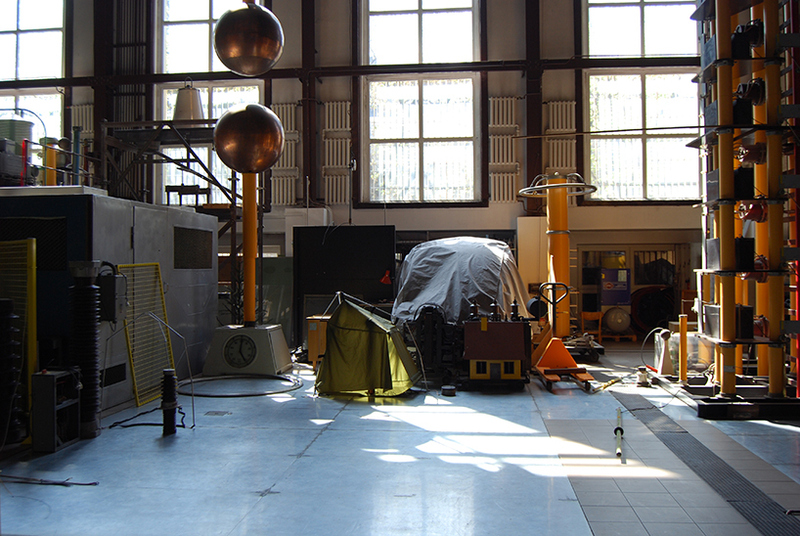 A high current generator was used to check the tent's durability. A series of electrical discharges with different peak current values were directed at the top of the frame of poles. Some scorching appeared at the pole joints due to the very high temperatures reached at those points. This is explained by their relatively high contact resistance. The stakes, which laid freely on the laboratory floor during the tests, melted to some extent. Again, it was a result of the high temperatures generated at those points during the discharges. The dramatic increase of the temperature in the short period of time resulted in sparks, i.e. particles of hot aluminum. The peak current was comparable to that occurring in lightning – statistically, it varies between 30 and 40 kA, though higher values (more than 200 kA) have been also reported.